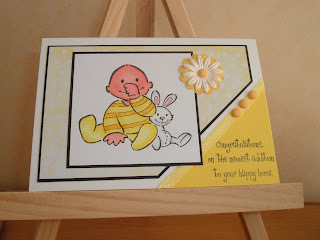 This is a cute but not too cutesy baby card that I have made for this weeks StampTV sketch challenge. I love my Copic pens so much, they make colouring a easy as pie. I was watching a movie over the weekend and in one part the leading lady had to decide what she would grab if her apartment was on fire and she had only 60 seconds. I am ashamed to admit it would be my Copic pens. 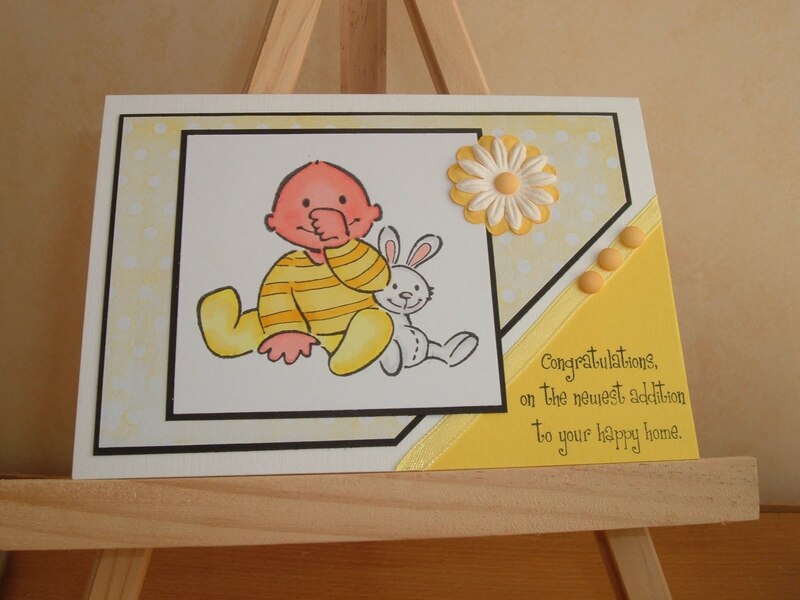 Have great day.